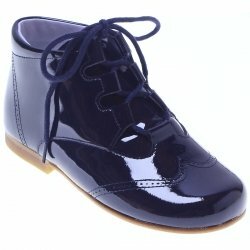 Baby and toddler navy brogue styled boots in patent leather. 100% leather upper and hand made in Spain for Cachet Kids. Man made sole.